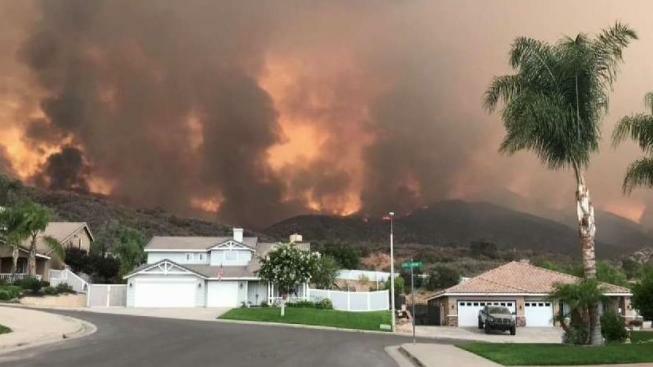 A 22,158-acre wildfire allegedly set by an arsonist has forced the evacuation of more than 7,400 homes and destroyed about a dozen buildings as it rampaged through dry brush and into a Riverside County neighborhood. Gov. Jerry Brown has declared a state of emergency for Riverside and Orange counties as the Holy Fire has blackened 10,236 acres of the Cleveland National Forest and was 36 percent contained as of Saturday evening. 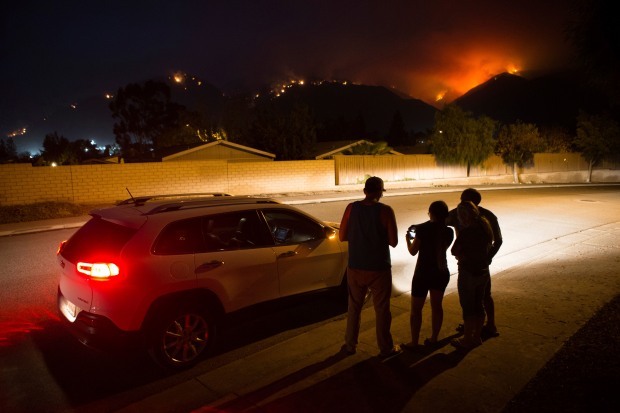 It forced the evacuation of more than 7,400 homes totaling about 21,400 people. The fire burned about 10,200 acres by Thursday, spreading to an estimated 18,100 acres Friday morning. Overnight flare-ups cast embers into decades-old dry brush, sparking spot fires that kept firefighters on the move and residents on the lookout. 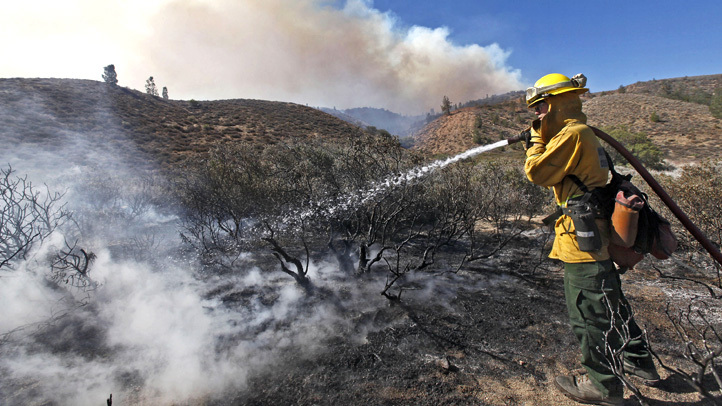 By Saturday evening, the fire had charred 22,158 acres. While the flames had charred more land, the increased containment size meant that some area evacuations were lifted Saturday. Those rescinded evacuation orders were limited to Horsethief Canyon, Rice Canyon and McVivker Drainage. Mountain Street at Avocado Way in Lake Elsinore remained closed, the CNF said. The governor's emergency declaration means that state resources would be used to help with the blaze which has threatened thousands of homes, critical infrastructure and has caused the evacuation of residents. The fire is believed to have been intentionally set and an arrest has been made. Forrest Gordon Clark was being held in lieu of $1 million bail. He faces charges of aggravated arson damaging at least five inhabited structures, arson of inhabited property, arson of forest and criminal threats, all felonies, as well as two misdemeanour counts of resisting arrest, according to Assistant District Attorney Chris Duff. NBC4's Rudy Chinchilla contributed to this story.